Engraved by Robert Havell after Audubon’s original watercolor, it captures the villainous character of its subject with a restrained beauty. Plate no. 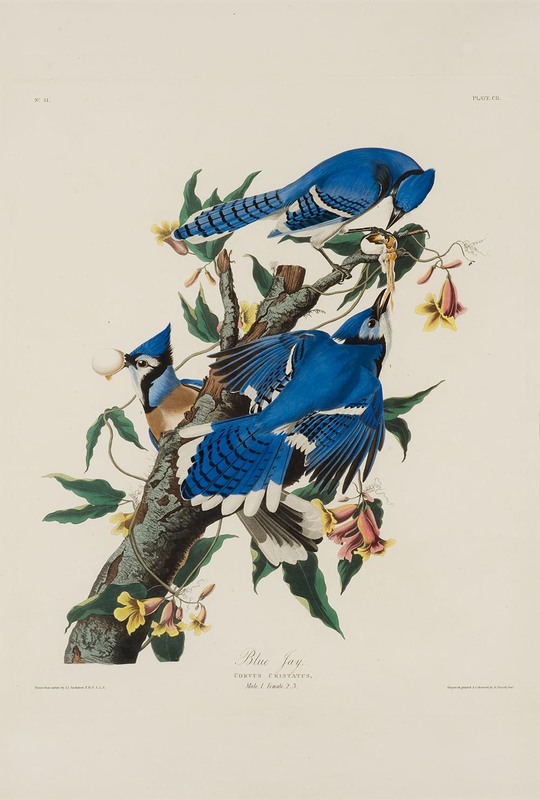 102 from the magnus opus The Birds of America, the image depicts two female and one male blue jay feasting on the eggs of an unidentified bird. The bottom of the print lists the engraver’s name, bears the standard inscription, “Drawn from nature by JJ Audubon,” and gives the scientific name of the bird, Corvus Cristatus.